Are you looking for dynamic worship for your Sunday morning service, school chapel, or conference event? Maybe you’d like to bring the Word in Worship in for a concert event? Want to share The Word in Worship with your friends, small group, or Bible study? Jonathan & Emily currently sing in homes across the country for free! An unforgettable moment crafted specifically for your special day. 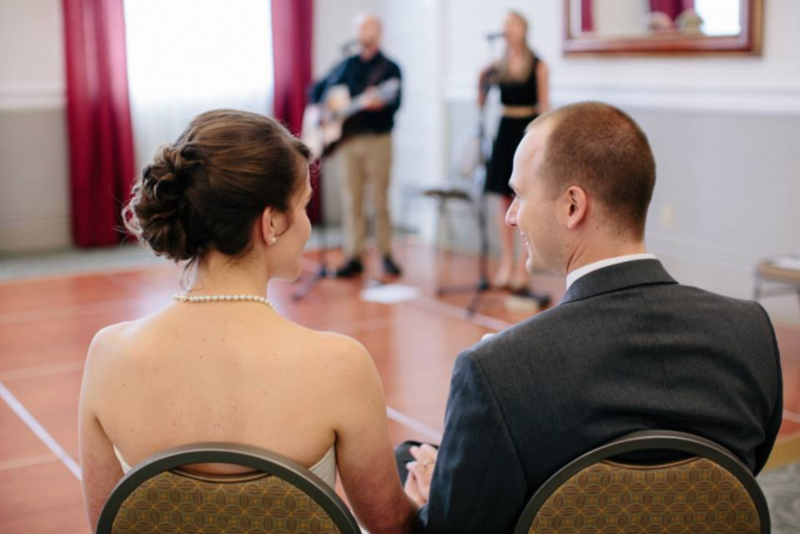 Jonathan & Emily love singing at weddings across the country. We’re passionate about crafting engaging worship that compliments Word-based theme of your conference, event, camp, or Sunday morning. We often share our songs for services or events. From one song on a Sunday morning to full blown concert events - we’re used to fitting into what will work best for each situation. Our passion is to write songs full of the Word of God in hopes that this art form will help us remember truth and open our eyes of our hearts to embrace the beauty found in the Word of God. We have financial needs and you have financial limits. However, after 10 years of ministry we’ve come up with a unique way to handle finances that just might help us find a win/win for any church or group. Our heart is to serve you and if there is any way possible of making that happen, we’d love to explore it with you. Anyone can host an evening with the Word in Worship ministry! All that’s needed is a space, chairs, and at least 20 guests. Have you been wishing that Jonathan and Emily would visit your town or church? 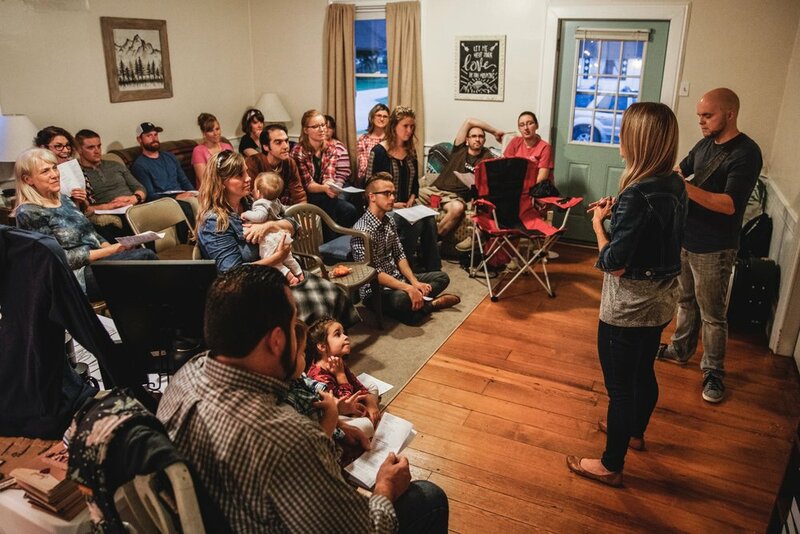 Why not host a home show and invite some of your friends and church family? It’s a great way to share music you love. It’s also a unique way to share the gospel and build relationships with you neighbors. These home concerts are perfect for bible studies and small group gatherings that happen throughout the week! The best part is that these events are free to host! Jonathan & Emily are happy to visit your home and sing for your friends for free as long as you are willing to take up a donation or love offering at the end of the night. Jonathan & Emily do ask home concert hosts to help provide a hotel room if possible - this isn’t a deal breaker, but appreciated. We wrote a song about marriage called “Two Becoming One” (listen here) that we’ve song in weddings across the country. We love singing this prayer full of purpose and blessing over brides and grooms. If we can’t make it to your wedding, we do have an accompaniment track available (click here) and piano sheet music available (click here) so that another friend or family member can sing the song on your special day. Would you like a few worship songs or hymns sung at your wedding? We’d love to celebrate with you and lead in a praise to our God during your ceremony. We’re not a cover band - but we know how to have fun. :) Whether it’s special dances (first dance, father-daughter, mother-son) or the entire reception, we’d love to sing while you make memories. We’ve got a list of songs ready to go and we’d love to learn some of your favorites. We love to talk with you about crafting an experience that best fits your personality and desire.